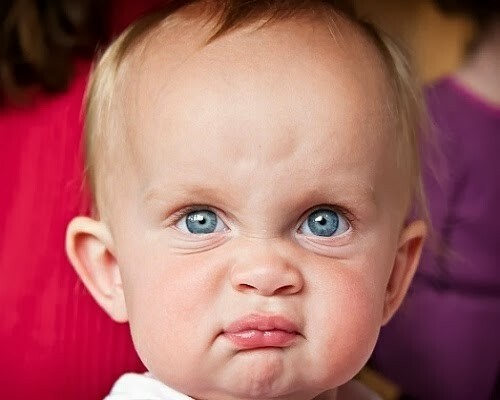 “Oh, no!” That’s probably every contractor’s reaction on realizing they’ve exceeded the client’s budget. For an agency, mistakes like this can cost big money or spell the loss of an important client. For an advertising specialist who overspends the budget, it can even result in losing a job. But don’t despair. We’ve got you covered. In this article, we’ll explain what to do and how to make sure it never happens again. Stop the advertising campaign in which you went over-budget as soon as possible. Investigate. Figure out who made the error and what caused the problem. Try and identify some positives. For example, is the amount the budget was exceeded small relative the entire budget as a whole? Even though the budget was exceeded, did the client get more leads or engagement? Finding a silver lining will make things easier when it comes time to notifying your client. 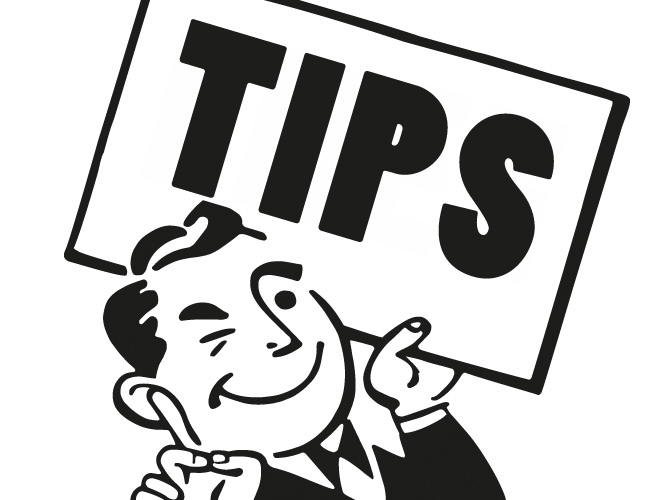 Notify the client as soon possible; preferably before they have a chance to discover the budget overrun themselves. “I’m sorry to inform you that we’ve exceeded the monthly budget for AD NETWORK in October. The overrun amount is $X (we allocated $Y, but spent $Z). The moment the overrun was discovered, we immediately paused all AD NETWORK campaigns. These campaigns will remain on pause until the end of the month. A week ago we increased the CPC from $X to $Y. The change was small enough that we didn’t anticipate a large change in traffic. However, we ended up receiving a surge of traffic and that’s what caused the overrun to occur. The positive news is, the quality of the additional traffic was on par or better than the normal traffic we’ve been receiving. As a result, I’m pleased to report we’ve generated an additional X leads. Exclude all Audience Network and Audience Expansion campaigns. I recommend we resume our AD NETWORK campaigns on the first of the month. In the meantime we’re honing our process to avoid more unpleasant surprises in the future. I understand how important it is to keep a tight rein on spending. We’ll continue to look into the situation and take measures to improve our ability to stay on track with the agreed upon budget. First, try to direct their attention to any positive outcomes. For example, if you exceeded the advertising budget, but thanks to your mistake the client received more leads, you can tell your client that the money was not spent in vain. Oftentimes this can be enough to dissuade them from demanding a refund. Of course, if you didn’t generate more leads or conversions this isn’t really an option. Second, if you have a long-term contract, offer to slightly reduce the budget for the next few months. Let’s say your annual advertising budget is $120,000. You were allowed to spend $10,000 a month, and you spent $15,000. Offer to reduce the budget to $9,000 for the next five months, long enough to cover the budget overrun. This measure may not work, because a client could rightly argue that he wants to spend exactly $10,000 a month. But in my experience, this usually works well. Third, offer the client some of your services for free. For example, offer free banner design or something of that nature. This will lower your ROI for that client, but if it’s important to keep them as a client, it’s often worth it. Once you’ve investigated the matter, you should already have some ideas on how to prevent the overruns from happening in the future. Set campaign spending limits where possible (daily or monthly). Almost all self-service advertising networks allow you to set campaign spending limits on a daily or monthly level. This is your first line of defense for reining in spending. When in doubt, contact your ad network rep for help. The advertising specialist needs to knows exactly what budget he or she has to work with on a monthly, annual, weekly or daily basis. A client may say, “My budget is $3,000.” By default, it’s assumed this is a monthly budget, but it is important to clarify. It is necessary to know precisely for what period and on what channels advertising should be distributed. If anything remains unclear after a conversation with the client related to the budget or advertising channels, always ask again. This is essential. You can configure Google Analytics to send you notifications about budget overruns in the form of email or SMS. But this works only with Google AdWords. Google has quick instructions on how to do this but they can be hard to follow. 1) Go to Google Analytics. 2) Select the appropriate account, property, and view. 3) Click Customization and select Custom Alerts. 4) Click Manage custom alerts and then + New alert. 5) Set up the alert. – Select the view your alert is supposed to be applied to. – Select the period for which the alert will be generated (Day, Week, Month). For example, a daily (weekly, monthly) alert is based on daily (weekly, monthly) changes in traffic/behavior. Go to the Alert conditions section. This applies to: select the dimension to which the alert applies. Alert me when: select the metric to which the alert applies, and the condition generating the alerts. Enter the value for the condition. Also, be sure to turn on alerts in all of your advertising networks. One common reason for budget overspending is that the expert forgets to turn on notifications in other networks besides AdWords. “We exceeded the advertising budget twice. It happened because we didn’t take into account the fact that Google Analytics notifications do not work with LinkedIn ads. There is one method you can use to avoid going over-budget in all networks (not just in Google Analytics). To begin, you need to know the average cost per click on your particular system. Let’s say it is $1. Also, let’s imagine that our monthly budget is $3,000. Our daily budget then will be $100. Simple math suggests we should receive about 100 clicks per day. From that number, you can configure alerts for when traffic exceeds your target number. You will receive a notification if the number of daily clicks exceeds 100. Alerts may fail to notice small amounts of of over-budget spending. Therefore, over time you can gradually exceed the budget without detecting a problem. Make sure that you receive a report on the state of the advertising budget at least once a week. That way, if the budget has been slightly exceeded for several days, you will be able to notice the trend toward overspending and take action. 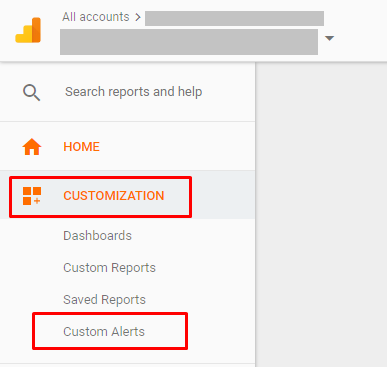 Here are instructions for setting up Google Analytics Custom Reports. One reason for overspending is simple human error. 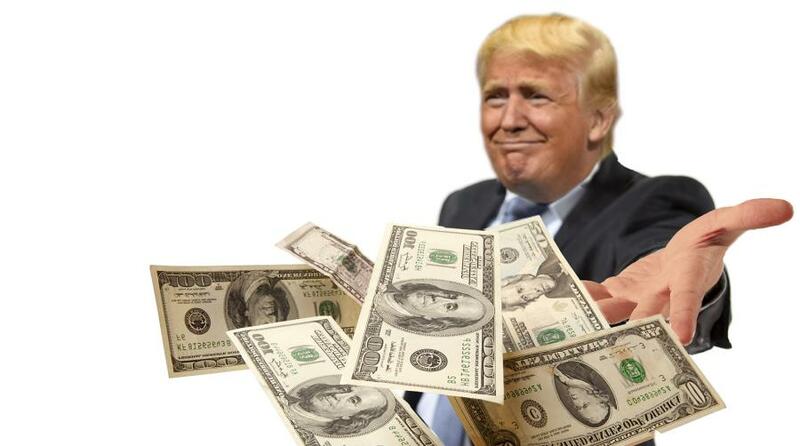 It’s not too uncommon for even an experienced person to forget he raised a spending limit and accidently overspend a client’s budget. It’s likely that if the agency had a clear, written procedure for what needs to be done when a campaign begins and when changes are made, this wouldn’t have happened. Introducing proper processes for employees to follow is a manager’s direct responsibility. Even if you’re a one-man shop, you should take the time to create processes. If you don’t have them yet, create checklists for the process of launching and customizing campaigns. Make sure your advertising specialist always has the right checklist at hand and goes through it before the start of each new campaign. Of course, a checklist won’t help if you’re trying out a new traffic channel or a new ad network. In this case, as a manager you should exercise tight control over the advertising budget for the first few days or weeks, and check the state of the budget daily. Exceeding your client’s budget is a big problem. For the agency as a whole, it can result in the loss of a client and important revenue. For the specialist who made the mistake, it can mean the loss of a job. Whatever the cause, it’s important to tackle the problem head-on and notify the client immediately. When it comes time to contact them, we recommend building upon the email template we included above. 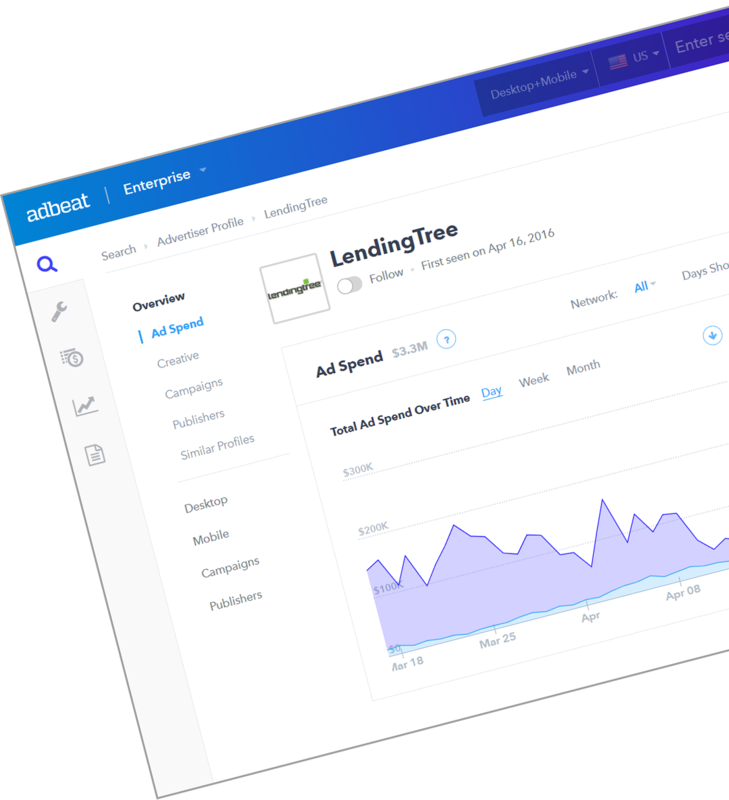 Configure campaign spending limits directly on the ad network. Most self-serve ad networks support some kind of campaign spending limits. While they’re not perfect, they do a pretty good job as a first line of defense. Configure an alert system. Set up Google Analytics to send you notifications about budget excesses in an email or SMS. 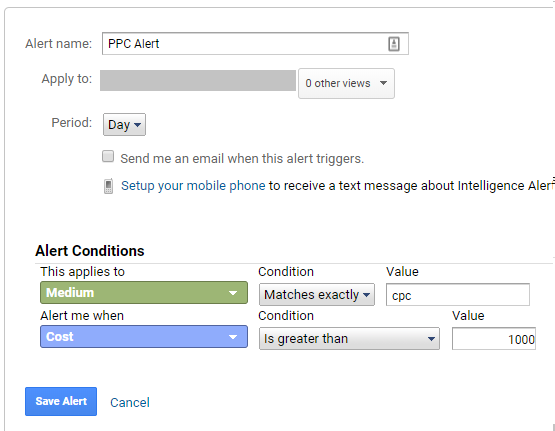 Make sure that you turn on alerts in each of your networks, not just Google Adwords. Set up regular reporting. Alerts may fail to notice small overruns, so be sure to get a report on the state of the advertising budget and review it at least once a week. Make sure the advertising specialist has an accurate understanding of the budget. The specialist needs to know exactly how the budget is to be spend with regard to both time (weekly, monthly, annually) and on which advertising channel. Do your best to eliminate the human error. Create checklists for the process of launching and customising campaigns. Have you ever exceeded a client’s budget? How did this happen, and what did you do next? What measures did you put in place to prevent the problem from happening again?